Apparently this was my first “logo”, and I am using the term very loosely, because I distinctly recall making this in… no more than five minutes? What are these colors. What is this spacing. What. I’ll be honest, it was a real struggle looking back at posts from fetus me—basically anything I wrote pre-2018—because I felt like covering my eyes every time I saw yet another questionably placed gif. All in all, however, it’s quite fascinating to actually see how much my blog has changed over the months! What about you? How has your blog progressed over the years? 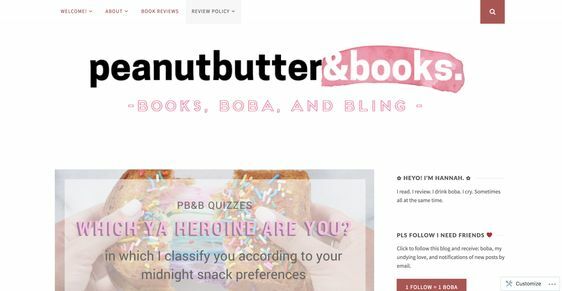 How do you feel about your current blog design? What aspect do you feel you most improved on? Hahaha i loved reading your post so much. I was like “oh totally relatable” about 83% of the post. Ahhhh I didn’t get a pingback notification, so I’m super happy I didn’t miss this post. Look at how your blog evolved and turned into the wonderfulness that it is!! your first logo is not bad!!! it just looks like you own a bakery haha. BUT I LOVE YOUR DESIGN, i love fun posts like these. ahhhh this!! is!! so wonderful!! ❤ (whenever i look at my old graphics i honestly feel like shuddering, HAHA.) but growth is everything! YES finally someone that agrees with me. picmonkey is such a bother to use when you don't pay for it (which i get, since they're a business, but still… not the greatest for amateurs like me). Agreed! You’re actually one of my inspirations in seeing how I could improve my blog graphics. So, you go girl LOL. Hahaha– You are always so hard on yourself, Hannah. I have loved all your blog designs. I don’t really do much with design or images. I just don’t have a knack, or even a passion, for it. I’ve had the same blog theme since month 6 of my blogging journey and I haven’t looked back. That said, I’ve considered hiring someone to make me some banners and logos… but eh. I dunno. It all sounds so hard and complicated. I’m proud of you for putting yourself out there like this! Keep up the great work. I feel like I’m always struggling with design. Specifically with individual posts. I can never land on a specific way to organize my thoughts, and they feel rambly (so I totally empathize with you there!). Also, I really struggle with not falling into hiatus-mode. Even now, I’m in a book slump and can’t seem to focus!